University of Maine Presque Isle officials are reviewing their options for renewable energy after an April 1 fire that destroyed key parts of the campus’ 9-year-old wind turbine. 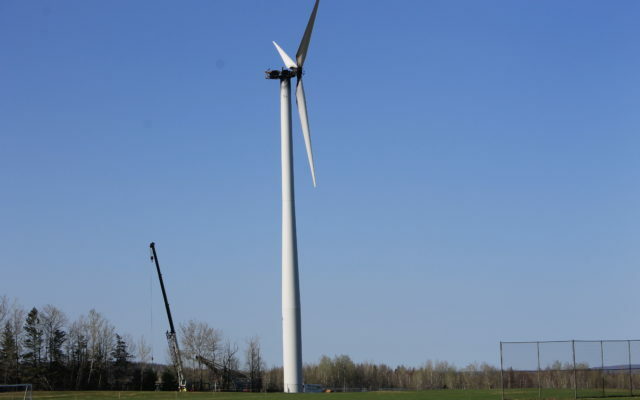 PRESQUE ISLE, Maine — University of Maine Presque Isle officials are reviewing their options for renewable energy after an April 1 fire that destroyed key parts of the campus’ 9-year-old wind turbine. Later this month, a crew with a 300-ton crane will remove the turbine’s nacelle, which houses the generator and other key mechanical components and the location where the fire broke out. Technicians from Vestas, the company contracted to maintain the turbine, have declared the nacelle to be a total loss, but said the tower and foundation are reusable, according to Rachel Rice, UMPI’s director of community and media relations. 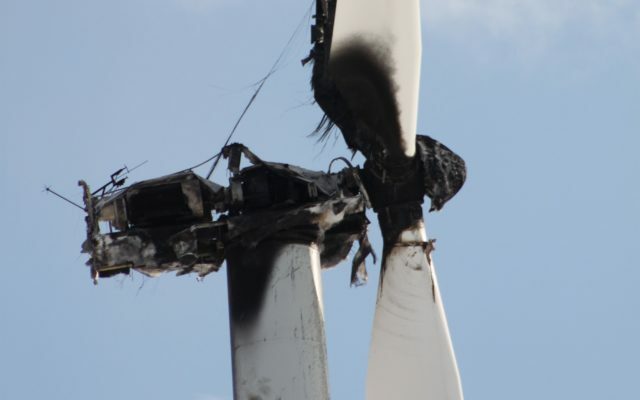 A Vestas engineer concluded that the turbine experienced “an arc flash,” a type of electrical explosion, that led to the electrical fire on the night of April 1. The fire burned out on its own and did not cause any injuries or damage to other structures, although parts of the campus lost power for several hours that night. The turbine was up to date on maintenance, however, the root cause of the arc flash remains unknown, according to Vestas. The 600 kilowatt turbine was installed in 2009 at a cost of $2 million. Since then, the turbine has generated 4.7 million kilowatt hours of electricity, the equivalent of powering 436 average American homes, according to the university. Officials estimate it saves UMPI approximately $100,000 annually in electricity costs. Going forward from the fire, UMPI is submitting an insurance claim on the damaged turbine, while considering options to meet the campus’ energy needs with renewable power, Rice said. Vestas will be offering UMPI cost estimates for several different options, including decommissioning the turbine and replacing it with another turbine, Rice said. “If we were to decommission the turbine, we’d want to replace it with a renewable energy system that would provide similar energy and cost savings,” Rice said. Those other renewable energy options could include solar panels, although officials with UMPI and the University of Maine System are in still “very early in the conversation” about their next steps, Rice said. In addition to the wind turbine, UMPI has a 20 kilowatt, 99-panel solar photovoltaic system on the roof of Pullen Hall, a biomass boiler and heat pumps. Those additions were installed as part of a $2.3 million energy efficiency renovation of the Pullen building in 2011.